President Donald Trump announced today a proposed Fiscal Year 2020 Budget for the U.S. Department of Housing and Urban Development (HUD) . The plan expands resources to prevent/end homelessness and invests record funding—to the tune of $44.1 billion—to support HUD initiatives such as supporting homeownership, reducing lead and other home health and safety hazards, and preserving rental assistance to HUD-assisted households. The 2020 budget is seeking nearly $2.6 billion to support thousands of local housing and service programs assisting the homeless and homeless shelters. This amounts to a $215 million increase over the administration’s 2019 budget request. The 2020 budget also continues to support homeownership through the FHA mortgage insurance programs, providing up to $400 billion in new single-family loan guarantee authority that includes critical funding to support targeted improvements to FHA’s information technology systems. In addition, the budget requests up to $30 billion in new loan guarantee authority for FHA’s multifamily, hospital, and healthcare mortgage insurance programs. To further support homeownership opportunities, the budget seeks $550 billion in new guarantee authority for Ginnie Mae, a part of HUD. Ginnie Mae makes affordable housing a reality for millions of low- and moderate-income households across America by channeling global capital into the nation's housing markets. 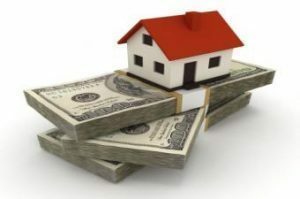 Specifically, Ginnie Mae provides significant liquidity, allowing lenders to obtain a better price for their mortgage loans in the secondary mortgage market. The lenders can then use the proceeds to fund new mortgage loans. The proposal is also seeking a combined $290 million for HUD’s Office of Lead Hazard Control and Healthy Homes aimed to help protect families and young children from potentially dangerous lead-based paint and other home health and safety hazards. This doubles the investment sought last year and represents a historic contribution to state and local governments. HUD-assisted households could see a $4.7 million increase in rental assistance, for a total of $37.9 billion, in order to maintain current support to participating households. This request includes $22.2 billion for HUD’s Housing Choice Voucher Program and $12 billion to renew rental subsidies to privately owned multifamily housing developments through the Project-based Rental Assistance (PBRA) Program. The Housing for the Elderly (Section 202) program seeks a $43 million increase and the Housing for Persons with Disabilities (Section 811) program seeks a $17 million increase, a total of $644 million in total additional funding. Similar to last year, the budget is seeking $62.3 million to support HUD’s fair housing mission. According to HUD's media release, the Trump administration believes the current structure generates significant and increasing costs to the federal government and represents a one-size-fits-all approach that adequately considers local community needs. With the Making Affordable Housing Work Act (MAHWA), submitted to Congress in April 2018, HUD proposed to reform rental assistance to address these issues.